A tiny deer is generating a giant dose of cuteness in New York City. The Wildlife Conservation Society sent out a baby announcement Monday. It's a boy! 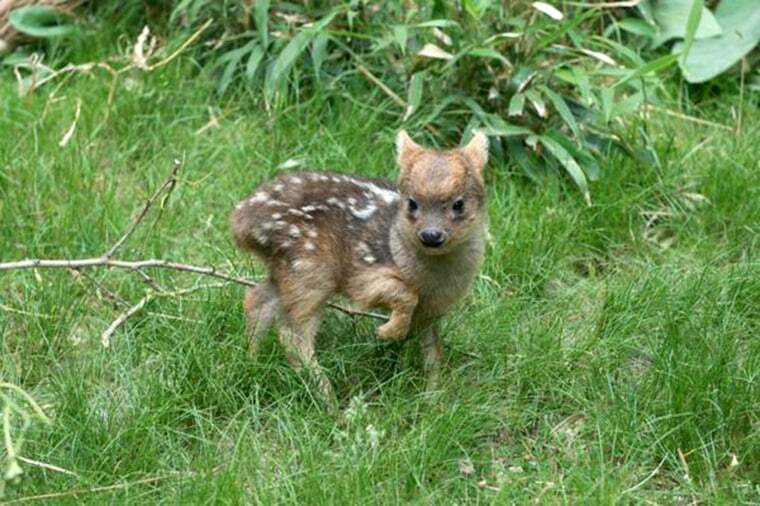 The southern pudu fawn — the world's smallest deer species — was born May 12 at the Queens Zoo. The fawn is still nursing but soon will be munching on leaves, grain, kale, carrots and hay. The white spots on his soft brown fur will disappear as he grows up. In his case, though, "growing up" won't be much of a vertical process. Southern pudus tend to be around a foot tall at the shoulder. When they're born, they're only 6 inches high — and weigh less than a pound.